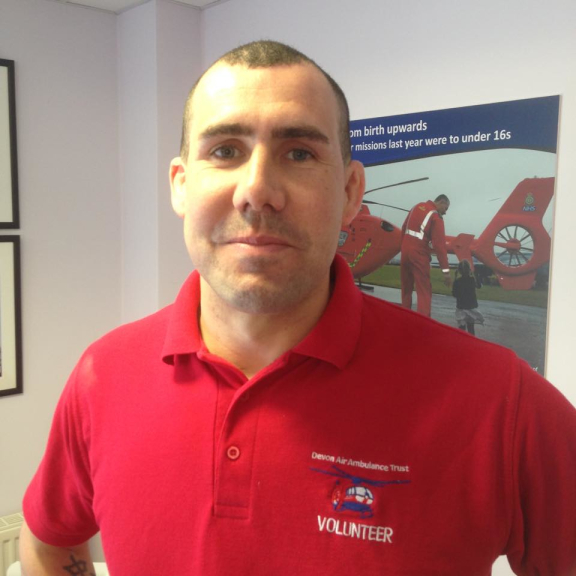 Volunteer Coordinator Rosey Oakes said “We have hundreds of volunteers beavering away across the county and they play a crucial role in keeping our two helicopters flying. National Volunteers’ Week is an opportunity to say thank you to them – so we’re having tea parties, special window displays and a special invitation-only visit to our Airbase to meet the crew! We are always looking for new volunteers and currently need people to help in various roles across Devon. Every volunteer is invaluable to us, so if you would like to make a difference, we’d love to hear from you! Margaret helps in our Totnes shop. She’s retired and says “I volunteered for the Devon Air Ambulance when I heard about the new shop opening in Totnes. I thought it was a good way for me to make friends. The shop is always full of chatter and laughter”. Ninety year old Marie is a part of the team at our Barnstaple shop. She joined shortly after she was widowed and found herself at a loose end with time on her hands. Marie has formed really close friendships with the other volunteers and they now go on regular breaks together. She said “Every day is different and the shop is always filled with the sound of laughter and fun!”. If you are hoping to return to the job market after an absence, or if you are a teenager about to look for your first job, then volunteering can give your CV a real boost and put you ahead of the competition. You will find your confidence and self-esteem will increase, and you will learn valuable new skills. Did you know you can also earn an NVQ in customer service whilst volunteering for us? Volunteering has proven health benefits too! Studies have shown that volunteering decreases depression and stress and can lower blood pressure and help you lose weight! What’s not to like? Become part of the DAAT family - our volunteers make up an essential part of our ground crew and we really couldn’t do without them!